Yes you can feed your cravings and still lose weight on our medical weight loss program. Our program is successful because we take your individual needs into consideration and develop a weight loss program that is a real world friendly just for you. We do this with the foods that you like to help design your diet plan and we also look at your time schedule. The weight loss pills do an excellent job of helping to boost your metabolism and decrease your appetite and enabling you to finally be able to follow a realistic meal plan that you will design for you. And we have secret recipes for most of the foods that you will probably crave that will turn them into fat burning foods instead of foods that are going to make you fat. And let’s not forget that your time also has to be taken in to consideration, as far as your being able to exercise and the type of fat burning exercise programs you are going to be able to do. Your exercise program is designed around you and if you can only exercise for 15 minutes three days a week we will develop that type of exercise plan so that you can spend that time doing the most effective exercises to burn body fat and help lose pounds and inches. Now for our secret recipes… one of my biggest cravings is bread. So here are 2 really good recipes, one is for a low-carb bread, and two slices has a total of only .4 g of carbohydrates and another recipe for an almost 0 carb recipe for Pitas. This is a really fantastic recipe especially if you are on a low carbohydrate type of diet and miss enjoying a nice slice of bread during the course of your day. This is one of my favorite recipes because it has almost no carbohydrates in it at all. This recipe will make a loaf of bread that is made in a 9 x 5″ loaf pan. You should be able to slice the loaf of bread into 14 slices. And one serving size is equal to two slices. Each serving has 70 cal, 4.3 g of fat, .4 g of carbohydrates, 7.5 g of protein and 0 g of fiber. Of course you should preheat your oven to 325°F and then grease a 9 x 5″ loaf pan. After that you should whip your egg white’s for several minutes. You want to make sure that you whip them extremely well, because this is a secret to making this bread turn out so perfectly. Then mix in the protein powder and any seasoning that you like. When that is mixed nicely just add your egg yolks and mix everything nicely together and continue to whip to keep the egg whites nice and high and it will become dough like in texture. Then just place the dough in the pan and bake for approximately 45 minutes, just until it gets nice and brown. Then remove form the oven and let it cool before you slice it. Again you want to slice it so that you will have 14 slices. This is another great recipe and this one only has .6 g of carbohydrates per serving, 64 cal, 4.5 fat grams, 5.2 protein grams and .5 fiber grams. This recipe should make 6 servings. In this recipe you also want to put the egg whites quite a bit for several minutes and then blend in the yolks, protein powder, cream of tartar and any seasonings that you may be adding to the recipe. Then take your pan and heat the coconut oil over a medium – high heat and when it gets nice and hot spring out a 3 inch circle of dough in the pan. Let this fry for approximately 4 – 5 minutes, again until it’s nice and golden brown and then flip and fry the other side for another – 4 – 5 minutes. Of course depending on the intensity of your flame it could be plus or -1 – 2 minutes. When it’s done remove from the heat and repeat this until everything is cooked. I hope you enjoy these recipes. If you need help with losing weight call us for your free weight loss consultation. Call us at 215-821-7336. And ask for your free consult with Dr. Kenny. When you call please tell the receptionist that it’s for your free weight loss consultation. 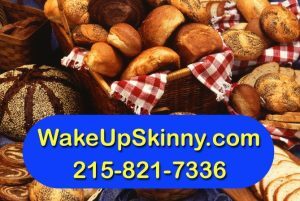 This entry was posted in Medical Weight Loss Philadelphia, weight loss philadelphia and tagged 39.9500° N 75.1667° W, diet pills Philadelphia, doctors prescribe phentermine Philadelphia, medical weight loss bucks county pa, medical weight loss doctors Philadelphia, Medical Weight Loss Philadelphia, phentermine in Philadelphia, philadelphia diet doctors, philadelphia weight loss doctors, vitamin B12 injections Philadelphia, weight loss philadelphia, weight loss pills philadelphia, weight loss programs Philadelphia on August 18, 2016 by Dr. Michael Kenny.